The Emmy nominations are going to be announced Thursday morning at 8:30, live on www.emmys.com. Here are a few of my demands, and if the voters don’t obey me, then I will sic Aunt Lydia on them. Blessed be the fruit — of my opinions. 1. 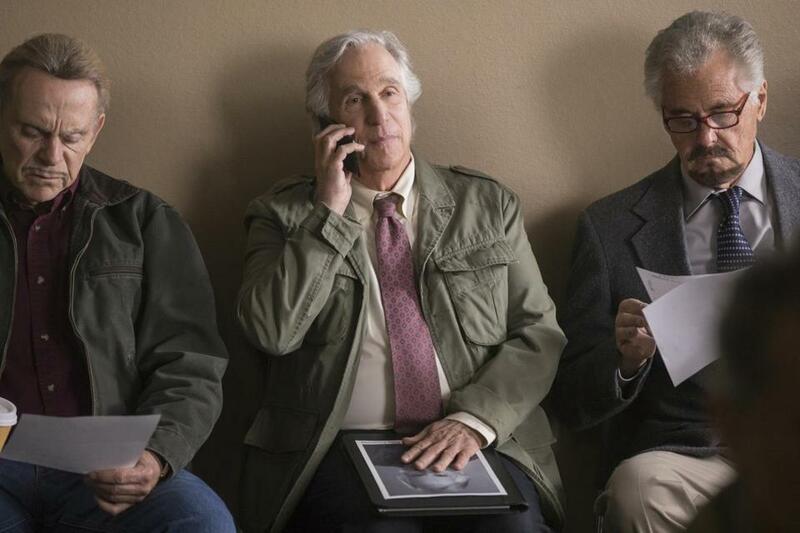 Henry Winkler must get nominated for his supporting comic turn in “Barry.” Since “Veep” isn’t in the running this year, there will be plenty of room for him in the supporting actor category. No excuses. 2. Noah Emmerich and his quiet but soulful face must be absolutely acknowledged for his supporting turn on “The Americans.” This is your last chance, Emmy voters. His performance in the pivotal garage scene in the series finale was unforgettable. 3. This season on “The Handmaid’s Tale,” Yvonne Strahovski has brought her character’s contradictions to the forefront in all their messiness. She is compelling as the not very serene and not very joyful Serena Joy and ought to get her first supporting nomination. 4. “Killing Eve.” I hope the voters won’t overlook it in the way they overlooked another BBC America series — “Orphan Black” — for a few years. Both lead actresses — Sandra Oh as an MI5 agent and Jodie Comer as the assassin she’s after — are worthy of notice. 5. I do hope Laura Linney gets a best actress nod for her turn in “Ozark,” on which she played a wife who, with a shoulder shrug of absurdity, jumps into her husband’s criminal dealings. The category is crowded with goodness, though — with Elisabeth Moss, Keri Russell, Claire Foy, Evan Rachel Wood, Viola Davis, Emilia Clarke, and Tatiana Maslany — so fingers crossed. 6. Zach Woods! Please. He was the best thing about the most recent season of “Silicon Valley.” As the gentle but surprisingly experienced Jared, he plays a perfectly unique character.